Halloween is long gone, Thanksgiving is over, and the snow is starting to build up- the holiday season has arrived, Darling! This year, I’m getting ahead start on my to do lists with the help of Paper Pony Co.
Paper Pony Co. is an eco-friendly stationery and accessories brand featuring whimsical illustrations with a bold sense of humour. 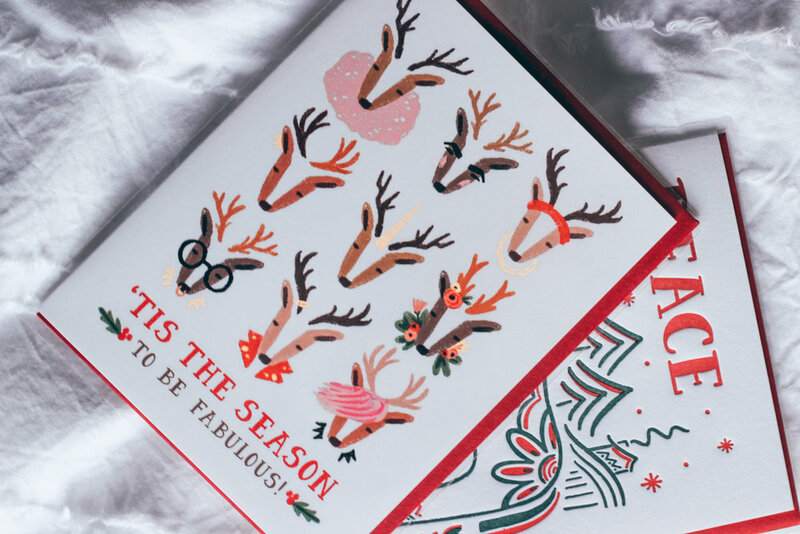 Talia, the creator of this eco-friendly brand, has curated a holiday section for Christmas and Hanukkah (and much more) that will no doubt get you feeling festive! Paper Pony Co. has created a one stop shop for everything holiday, making it stress free! Each card is truly special, from the designs to the quality of substrate, their cards are like no other. Having an educational background in the printing industry, I have come to appreciate the hard work companies put into creating stationary products. Paper Pony Co. is no exception to this, their dedication shines through each design! They have everything from gift wrapping, labels, ribbon, and more! My family and I celebrate Christmas, so I have chosen a couple of my favourite Christmas cards they have created. I can’t wait to see the look on my loved ones faces when they receive these beautiful cards! If you want to feel extra festive and listen to some Christmas music, shop at Paper Pony Co. to ‘Tis The Season.